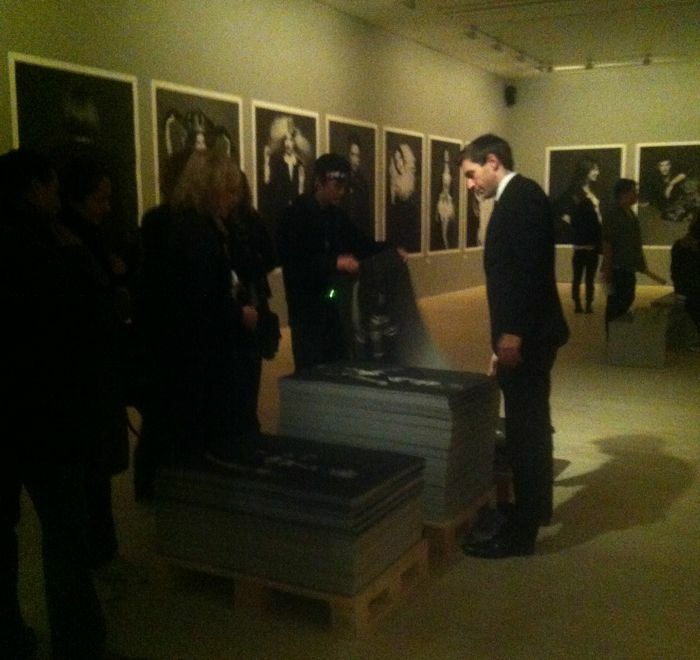 Last fall when I was in London, I attended the The Little Black Jacket exhibit at the Saatchi Gallery. This art museum is in a lovely part of London, near Sloane Square. The museum itself is on the small size, with beautiful clean lines. The exhibit was a collection of photographs showcasing Chanel's classic black jacket. A huge variety of different models -- actors, writers, designers and actual models -- wore the jacket and they wore it inventive and classic ways. Each visitor to the exhibit could take a poster of one of the featured photographs. When I first glanced at this striking photo, I thought it was Gwyneth Paltrow. 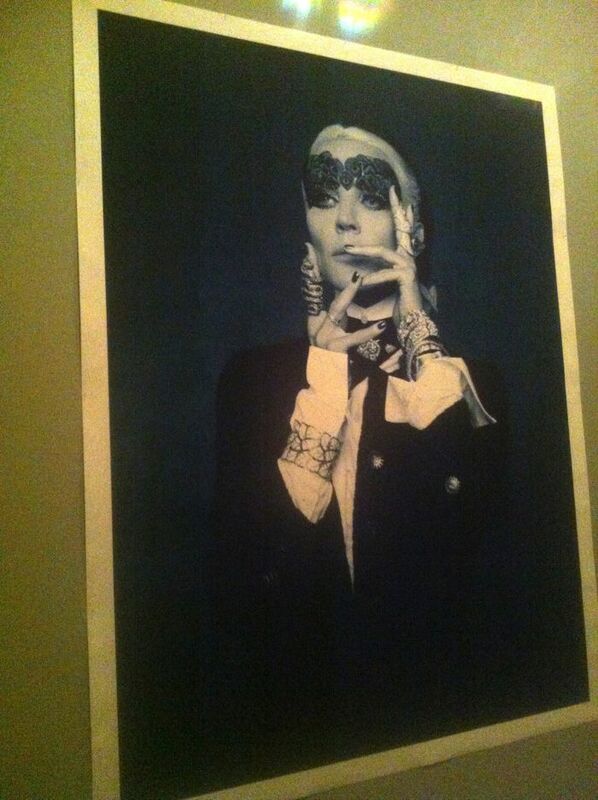 But it is of Daphne Guinness. She is a descendant of the Guinness beer family, and an artist, model and designer. The photo perfectly captures her pushing-the-envelope personality. Who else could pull off a serpent ring quite like that? 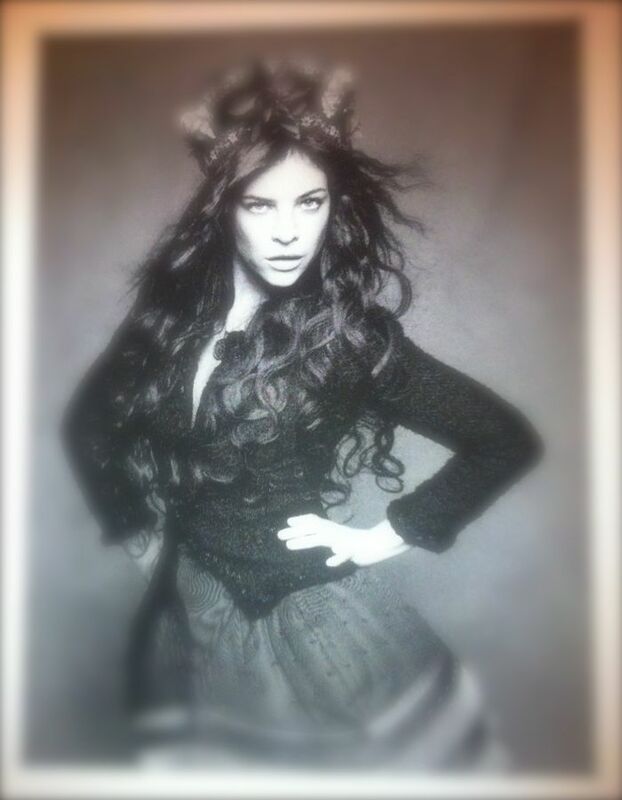 Julia Restoin Roitfeld is the daughter of Carine Roitfeld, the former editor in chief of the innovative French Vogue. I love Julia's verve in this photo, almost palpable; and her bohemian style. Hello, flowered headdress!